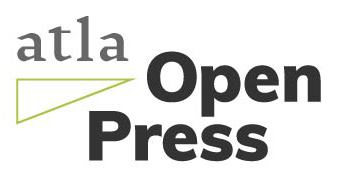 The Atla Open Press Coordinating Council is part of the recently established Atla Open Press and is designed to facilitate communication between the Editorial Boards of Atla Press imprints (Theological Librarianship, Theology Cataloging Bulletin, Open Books, Summary of Proceedings) and Atla staff. They meet to guide creators, appropriate publication venues, share editorial calendars, look for areas of possible collaboration or cross-publication promotion, and coordinate shared activities, especially in the areas of social media, marketing, etc. to raise awareness and increase readership of all Atla imprints. Atla Open Books publishes valuable resources for religious studies and theology scholars and librarians. Theological Librarianship is an open access journal publishing essays, columns, critical reviews, bibliographic essays, and peer-reviewed articles on various aspects of theological librarianship.